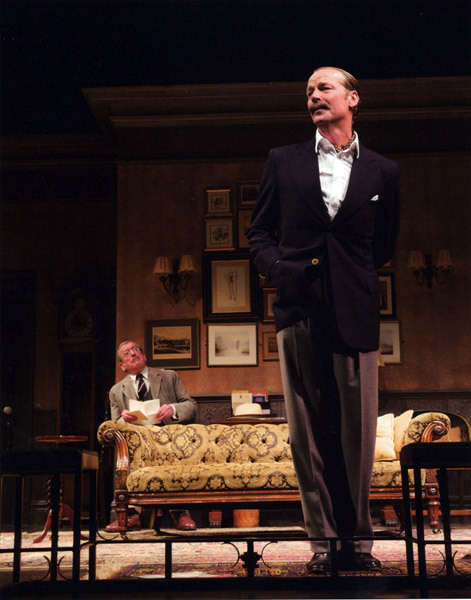 Philip Franks’s superb production of Separate Tables which once again reveals Rattigan’s empathetic ability to reach deep into the heart of quiet desperation. 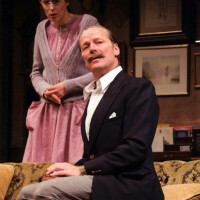 Set in a private hotel in Bournemouth this beautifully constructed double bill brings a large supporting ensemble of hotel residents to life while focusing on two separate stories… Gina MeKee’s mixture of manipulation and increasingly desperate loneliness and Iain Glen’s burning passion and disappointment are superbly caught… But is is the second piece, Table Number Seven, that holds the greater interest, especially since Chichester is presenting the play in a version never performed in Rattigan’s lifetime. Because of theatre censorship, and Rattigan’s fear of exposing his own homosexuality, it originally concerned a bogus major convicted of touching up young women in the local cinema. But in this alternative version “Major Pollock” has been bound over for soliciting men on the esplanade, an idea partly inspired by the notorious arrest of John Gielgud in a public lavatory. It makes more dramatic and emotional sense, and Glen gives one of the finest performances of his career as a man whose life has been blighted by fear and sexual shame… There are moments here as moving as Chekov and as painful as Strindberg. It’s heartening to see the continuing rehabilitation of Terence Rattigan, previously condemned as an irredeemably middle-class writer of “well-made” plays. 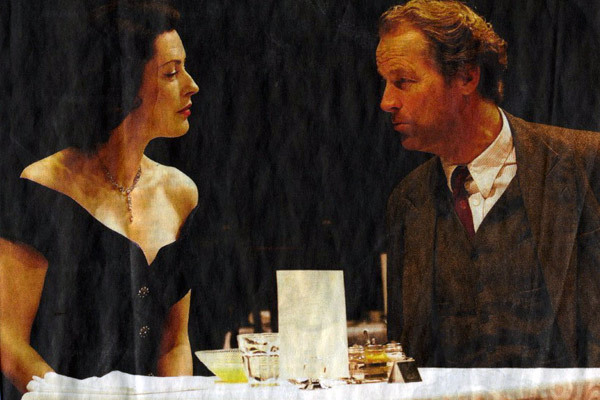 This elegant, sensitive revival of his 1954 masterpiece , rounding off another cracking season for a revitalized Chichester, reminds us that Rattigan sets off all manner of emotions pulsating under the polished surfaces of his dramas. 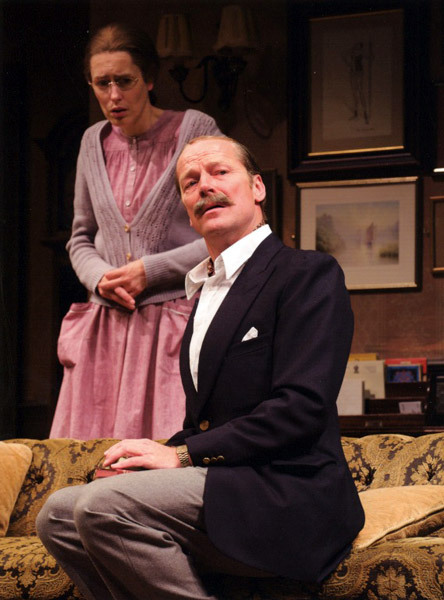 His master touch in this interconnected double bill is to have the two leading actors – a terrific pairing of Gina McKee and Iain Glen – play two different characters either side of the interval, while everyone else in this private Bournemouth hotel remain the same. 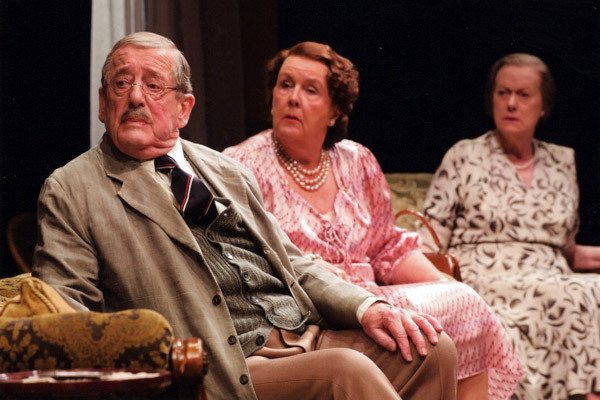 In the second half, Stephanie Cole’s redoubtable battleaxe, Mrs Railton-Bell comes into her own, persecuting the Major (Glen, a wrenching tangle of borrowed pride and own-brand shame) and condemning her adult daughter (Gina McKee) to perpetual childishness. She hasn’t, however, counted upon the proto-liberal sympathy expressed with classic British reserve, stirred up by worldly-wise landlady Miss Cooper (spot-on Deborah Findlay). 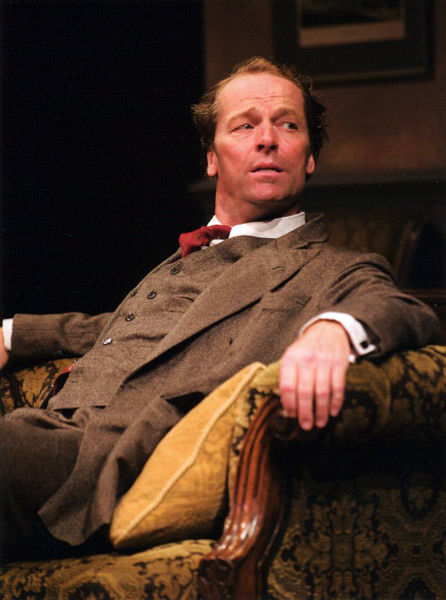 In ever sense, another victory for Rattigan. 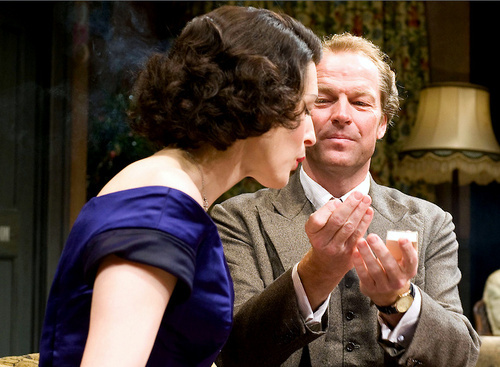 Festival 2009 at the CFT ends on a gloriously high note with director Philip Franks’ superlative double dose of Terence Rattigan at his very best… It’s the highlight of the main-house summer season – a faultless production engages from the very first moment. 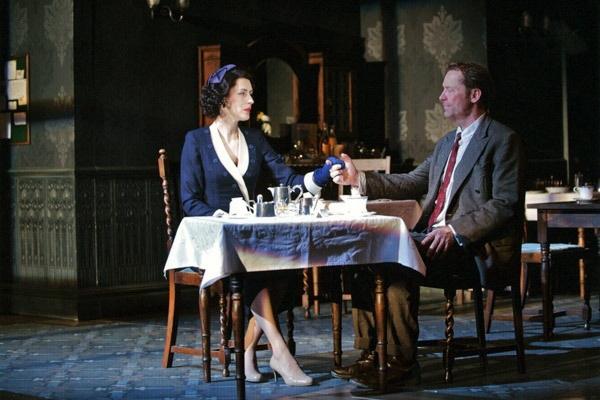 Chichester Festival Theatre has come up with a handsome production of this fine play. Glen gives one of the finest performances of his career as a man whose life has been blighted by fear and sexual shame.